This week, the Chancellor announced his Spring Statement. Though predicted to be a dull affair, Hammond was upbeat. After a quip about John McDonnell’s infamous ‘red book’, he was quick to reference another, more revered publication, Winnie the Pooh. Aiming to dispel his association with Eeyore, he informed the House that this time, he was feeling Tigger-like. Hammond then laid on the praise. He reminded us where Britain excels – the global success of our language, our legal system and financial services as well as technological innovation and educational excellence. He assured us the future was looking bright, that salaries would rise, inflation would fall and debt would diminish. 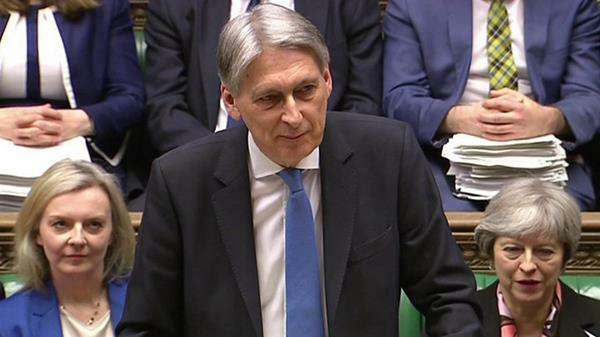 He also claimed the OBR forecast of 1.3% growth through 2019 and 2020 was a conservative estimate. With regards to borrowing, Mr Hammond stated that borrowing is “broadly as forecast” in the last budget and claimed that in 2017-18 borrowing would peak, then start falling next year. However, in spite of the good news, there were no announcements to betray his nickname of ‘Spreadsheet Phil’. There would be no reckless spending, but rather a more “sensible”, balanced approach. His vision was to reduce debt, support public services, keep taxes down and invest in the future by supporting enterprise, ambition and hard work. In terms of results, Mr Hammond claimed that by raising the personal allowance, the living wage and by freezing fuel duty for the eighth year in a row, he has raised the living standards of millions of working people. There was, however, a rather big elephant in the room. The Chancellor did not mention Brexit in his statement. This could, with the best will in the world, have some impact on the figures. An unprecedented four-way Select Committee inquiry has reached its dramatic conclusion this week, releasing a report which condemns the Government’s actions to reduce air pollution so far. The report calls the UK’s pollution-related death toll of 40,000 per year – costing the taxpayer £20 billion a year – ‘unacceptable’, and agrees with the High Court’s recent verdict on the inadequacy and inexpediency of the Government’s 2017 Air Quality Plan. It cites lack of cross-departmental coordination between Defra, Transport and Health and lack of national leadership among the reasons for the UK’s poor record. 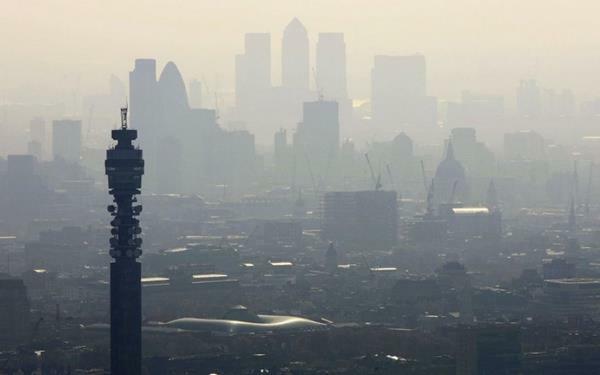 The report recommends that the Government create a new Clean Air Act to improve on current legislation. This would also apply more pressure to Environment Secretary Michael Gove to give his Clean Air Strategy – due for release later this year and promised to be ‘comprehensive’ – sufficient ‘teeth’. The report also calls for a national support scheme to help local councils tackle pollution; a national anti-pollution health campaign; local data collection on the impact of pollution on health; an acceleration of the end of conventional petrol and diesel car sales; a new Clean Air Fund to support the health costs of pollution, subsidised by the motor industry; and a new Environmental Protection Agency to hold the Government to account once it leaves the EU. The Society of Motor Manufacturers and Traders (SMMT) replied that the industry needs more time to adjust to stricter emissions standards, and that the measures proposed would put 800,000 automotive sector jobs at risk. The Government’s response is expected within the next two months. On Monday Dominic Raab MP, Minister of State for Housing, Communities and Local Government (HCLG), faced the HCLG Select Committee, chaired by Bob Blackman MP. It was an opportunity for government planning policy to again be scrutinised, following the release of the revised National Planning Policy Framework (NPPF). The Committee were eager to hear about policies to allow local authorities to lead more building projects, by enabling them to borrow more capital and take advantage of historically low interest rates. Mr Raab praised the policy’s impact in high-cost areas and declared his department open to considering a further roll out across more councils, by further relaxing their ‘debt caps’. There were also concerns raised regarding ‘viability assessments’ and their alleged role in reducing delivery expectations placed on developers. The committee believe house builders have previously ‘weaseled out’ of obligations on things like affordable housing provision by using assessments to declare them unviable. Possible financial penalties were not ruled out by Mr Raab. 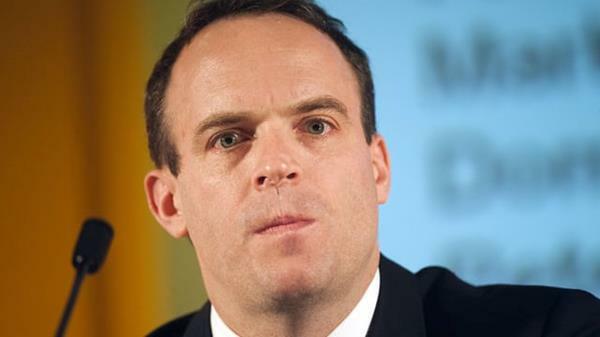 Mr Raab stated he favoured a more ‘contract-like’ approach to business between councils and developers. The current arrangement, he stated, was prone to ‘endless haggling’, during which developers could shirk commitments to affordability, infrastructure and timeframe targets. Mr Raab believes that the NPPF may now allow for the withdrawal of permissions from problem developers. The committee further explored the controversial additional funding for the Help To Buy scheme, costed at some £10bn, which critics claim has lined developers’ pockets at the expense of the tax payer. Specifically highlighted was Persimmon, whose recent building activities have been funded up to 50% by public money, while it continues to award board bonuses up to £70m. Mr Raab was cautious about passing judgement as to the properness of the bonus payments. Referring to the hundreds of thousands of first time buyers who have benefit from Help To Buy, Mr Raab stated his intention to “use every vehicle” to increase housing provision. With the potential eruption of Cold War 2.0 and the constant, unavoidable hum of Brexit, it is easy to forget sometimes that there is genuine legislation still struggling its way through Parliament at the moment. Though, it must be said, probably not as much as the government would like. One such piece of legislation is the High-Speed Rail (West Midlands – Crewe) Bill, commonly known as HS2 Phase 2a. The first phase of the controversial rail line linking London to Birmingham has just begun construction, after being granted Royal Assent in 2017. This second Bill enables the construction of the line between Birmingham to Crewe, with future scheduled legislation allowing for services to Manchester, Leeds and beyond. With Labour supporting HS2 in principle, the Bill easily passed its second reading in January. But, given that HS2 is such a sizeable piece of infrastructure, it requires a ‘Hybrid Bill’, which means it follows a different legislative process. 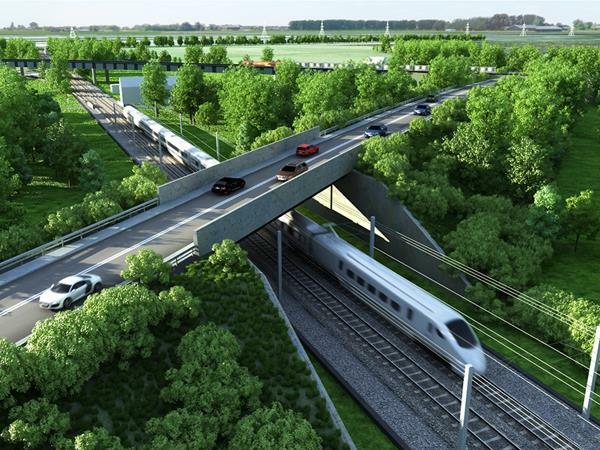 After obtaining second reading, the HS2 Phase 2A Bill now enters its petitioning phase. This enables key stakeholders and members of the public to appear before a specially formed select committee and make representations about the HS2 project. These representations could be regarding alterations to the route, highlighting environmental impacts, or simply voicing the concerns of an affected community. After hearing these views, the Select Committee can suggest amendments to the Bill as it sees fit, which will then be voted on by the entire House. If that does not sound complicated enough, the petitioning process then happens all over again in the Lords. It may even feature the same petitioners. During the HS2 Phase 1 Bill process, the Select Committee met a whopping 138 times to hear petitioners and make recommendations. Given Phase 2A is a shorter route, the current select committee members may be hoping for a less intensive procedure.